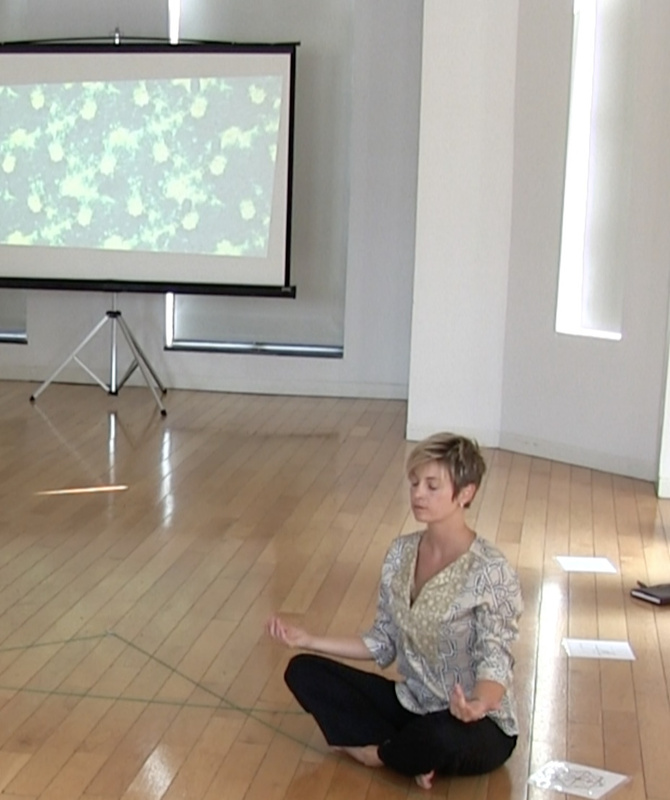 The Breath of the Compassionate Movement Meditation premiered in New York City at The Laban Institute in June of 2018. This work is meant to be shared with others to cultivate compassion for others (and for ourselves) in our world that rampantly turns to aggression and defense. The rhetoric and scholarship that inspired the work comes from Karen Armstrong and The Charter for Compassion. The visual and musical compositions were graciously gifted by the composer Bill Alves. The Breath of the Compassionate Movement Meditation is for everyone, no matter your movement background, spiritual practice, or affiliation. The 'Breath of the Compassionate', or 'al-nafas al-rahman' in Arabic, is an eight-point star design, significant to many cultures and religions. It has medieval roots and can be found in many religious iconographies. This sense of visual inhalation and exhalation is based around the teachings of Ibn al'Arabi, who named this universal principle of creation, joining the elements of fire, air, water, and earth. “Movement Meditation, sometimes termed Dynamic Meditation, turn movement into a conscious practice. Some people use the practice to express themselves and experience the present moment, while others set an intention to communicate or connect with nature or the divine.” ~ paraphrased from The Omega Institute for Holistic Studies.